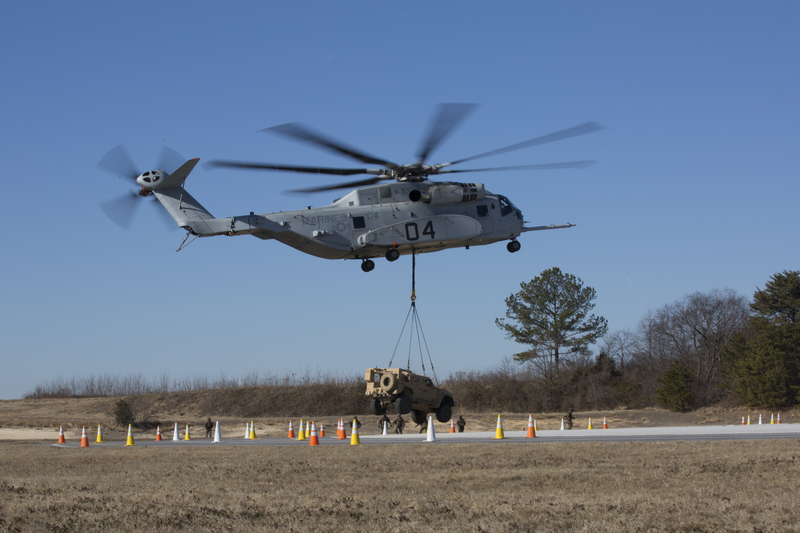 The CH-53K King Stallion lifts a Joint Light Tactical Vehicle (JLTV) at Naval Air Station Patuxent River, Maryland, January 18, 2018. The purpose of this exercise was to show the Capabilities of the CH-53K. US Marine Corps photo. CAPITOL HILL – The Department of the Navy expects to sign a contract with Lockheed Martin for the CH-53K heavy lift helicopter “in the next coming weeks,” after a pause and a program restructuring effort that sought to rebalance risk and reward between the government and contractor.